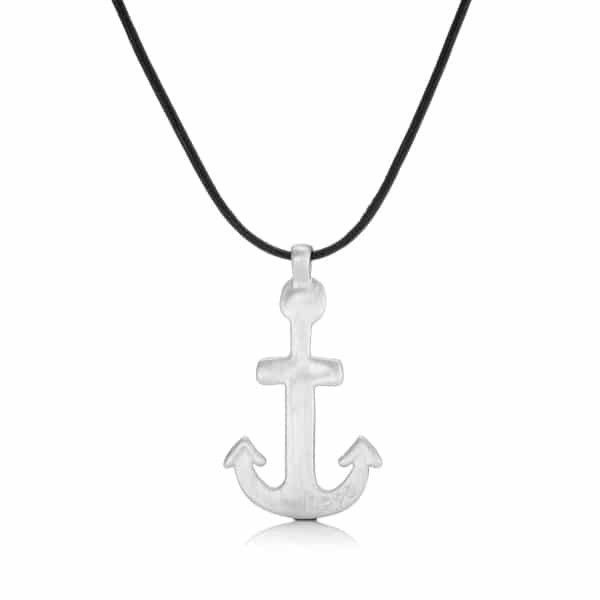 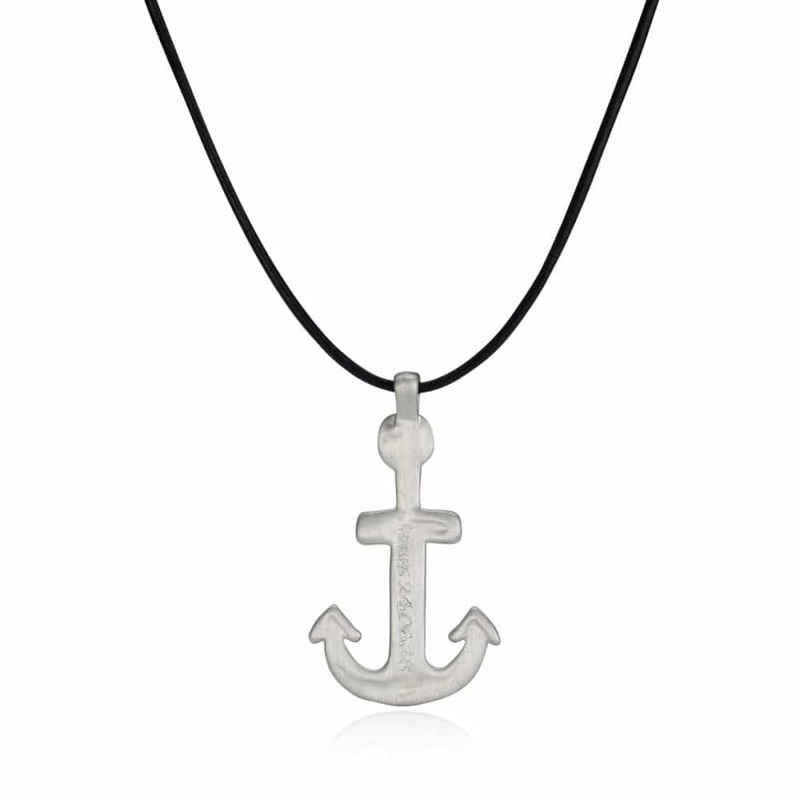 A modern piece of jewellery with masculine appeal, our Personalised Leather Anchor Necklace for Men. Handcrafted and beautifully presented, it includes an anchor shaped charm suspended on a string of soft black leather than can be adjusted for the perfect fit. 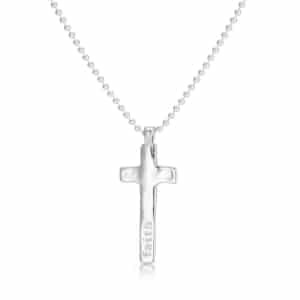 Highly tactile, the sterling silver pendant has an organic pebble like quality that quietly demands attention. 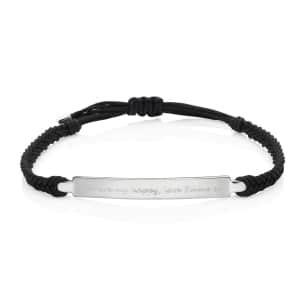 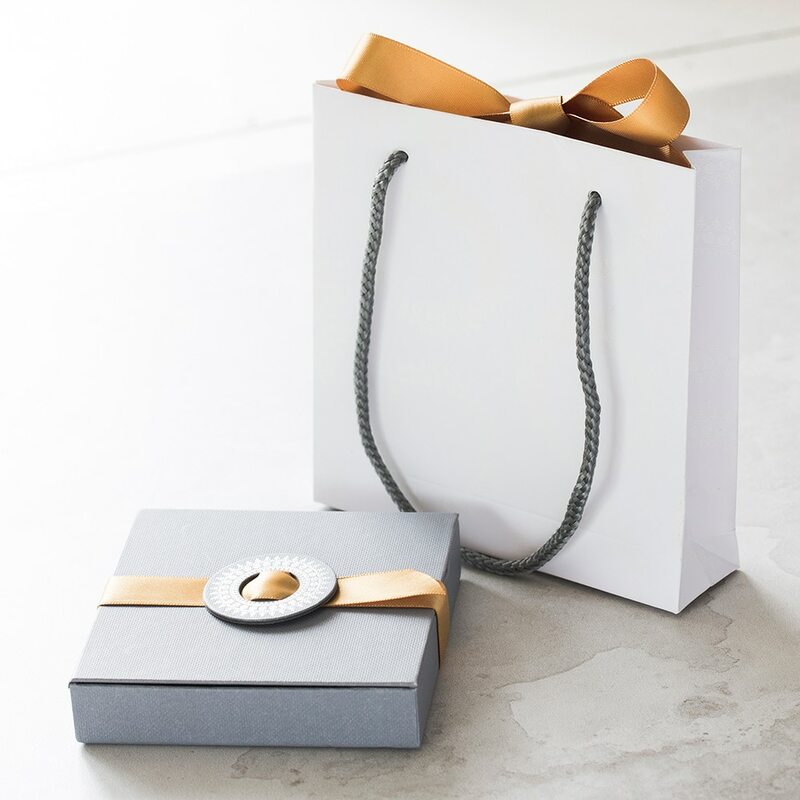 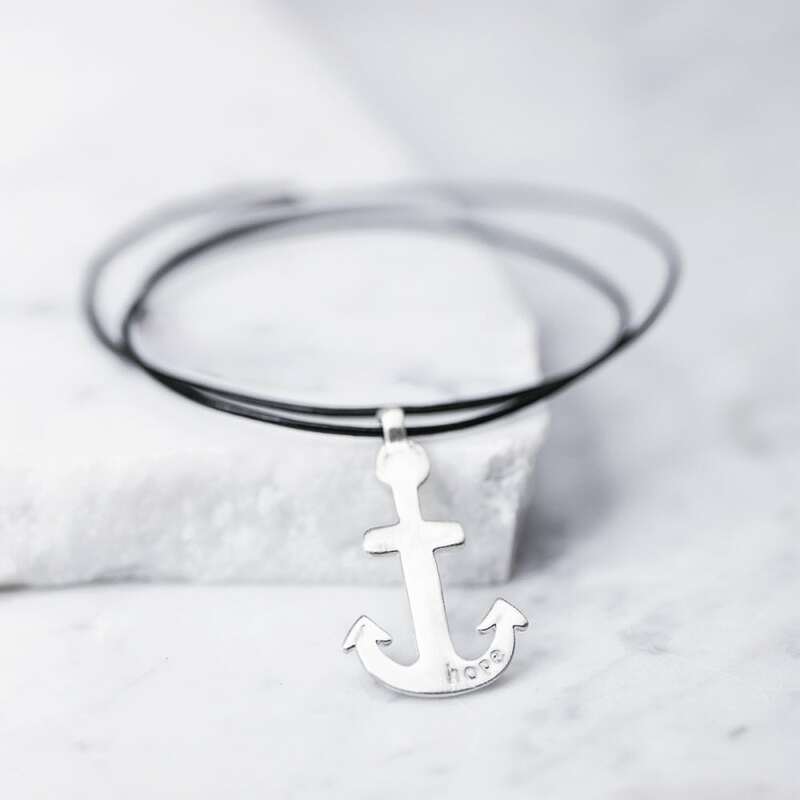 As a symbol of hope and stability, it would make an outstanding gift for Father’s Day or a milestone birthday, and to suit every taste it is available with a satin finish. 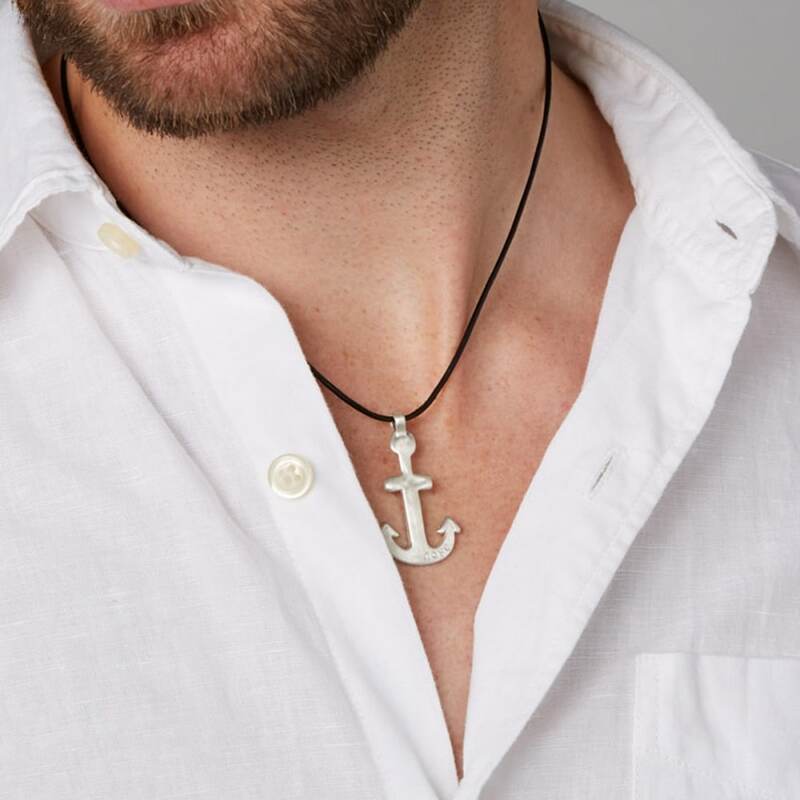 The back of this Men’s Leather Anchor Necklace can be personalised with the engraving of your choice to create a bespoke jewellery gift, and we’ve stamped the word ‘Hope’ on the front to keep your man drifting in the right direction. 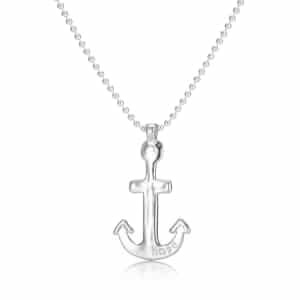 Engraved vertically down the central part of the Anchor. 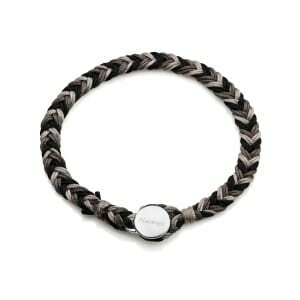 Hung from soft black leather with a sterling silver clasp.